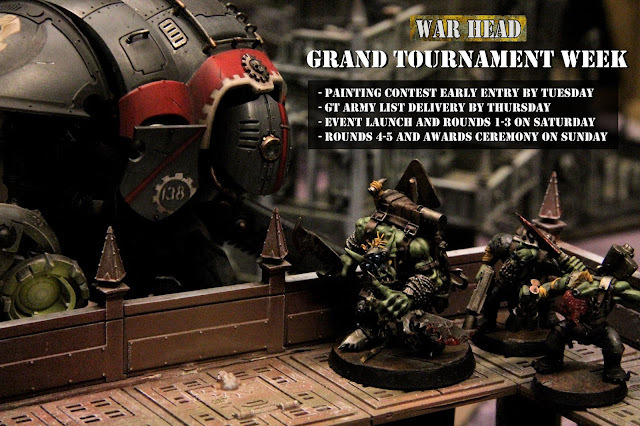 It's the Grand Tournament week! This Saturday our operators and a platoon of ambitious combatants will gather in Suvilahti's Kattilahalli to play 40K as a part of PoroCon 2016! Our two-day tournament event is accompanied by painting contests, historical wargame demos and a lot of other gaming-related program arranged by Poromagia and their associates. All tournament participants be advised, the GT army list deliveries need to be made by 12th (that's Thursday!). Anyone taking part in the painting contests can deliver their entries to the venue or tomorrow to our Fight Club gathering. Command 1: Council of Waaagh!